In creating the Earth Angels page, I wanted to shed light on the countless stories of women who have beaten the odds by defeating cancer and other health challenges. I have found through my own personal experiences, that it’s more common to hear the stories that didn’t have positive outcomes, when in actuality, there are countless stories with amazing outcomes, or there are people such as myself who are thriving while fighting a disease such as cancer. While facing a scary, life-threatening situation, one needs to feel hopeful and uplifted and be reminded that through faith, all things are possible, which was my intent in creating this page… I hope to fill your spirit with hope and encouragement as these beautiful Earth Angels share their powerful journeys of triumph. Meet our September Earth Angel, Crystal Munoz, a dear friend of mine who I met while living in New York…. We actually met through an amazing foundation that we are both a part of, You Can Thrive. Her and I ironically share the exact same diagnosis, which is rare as there are many different variations of breast cancer (same type, stage, and same bone metastasis). We met at an event through the foundation, and the day I met her, I knew we were destined to be friends. She is truly amazing, beautiful inside and out, and was brave enough to share her story with us in order to inspire other women. It isn’t easy to be open and vulnerable, especially on a public platform, so I am both thankful and continuously inspired by her strength. Crystal beat the odds despite a stage 4 diagnosis and remains in remission. She is a true testament that ALL things are possible, no matter what you are up against. “I was diagnosed in June 2013 at the age of 29 years old with stage one breast cancer. A few weeks later I was diagnosed with stage 4 breast cancer. As anyone can only imagine, this news was completely devastating. I can remember the moment so clearly, after hearing my GYN say the word “cancer” my vision blurred and I felt my heart burst out of my chest. It had to be the scariest moment of my life. When people hear the word cancer they associate it with death immediately. That’s exactly what I did, I knew nothing about it except what I had seen on TV. What made it worse, was the first oncologist that I saw made it seem like my life expectancy was minimal. Her exact words were “we will do everything to make you comfortable”. (They were going to make my death comfortable!?) Those words have stood with me till this day. My point is, always get a second or third opinion if the first gives you no hope. I knew I had to become my own advocate, so I did get a second opinion, which I felt much better about. 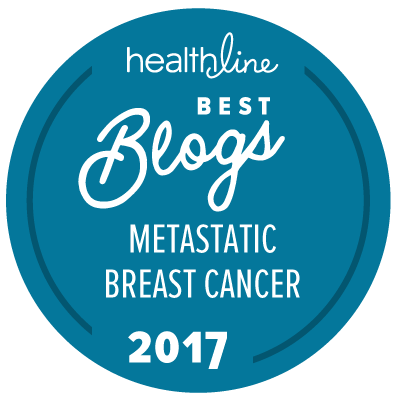 Since I was diagnosed with ER positive breast cancer my oncologist did not start me on chemo, but decided that hormone therapy was the best course and I started on Tamoxifen immediately. During this time, the support of my family was so important for my stability and sanity. My family and I started to research everything we could about breast cancer, and what I could do to help heal my body. I realized my diet was a big factor and that it needed to change, as the saying goes, “you are what you eat”. Crystal: I believe love comes from the depths of one’s soul. It is so strong it can overcome almost anything. Love is giving and receiving. It is the warmth you feel towards another person and the happiness they bring into your life. Love is an uncontrollable emotion. Love is what keeps us going. 2. Who or what inspires you? Crystal: My inspration in this life is my family. I fight this battle not only for myself but for my loved ones. They keep me going no matter how hard it gets. This journey would have seemed impossible if not for them and their tremendous love, support and strength. I am thankful everyday for them. They are my true heroes. 3. What is your favorite quote, verse or saying? 4. What is your favorite song? Crystal: My favorite song is Closer by Goapele. 5. What is your favorite pass time or hobby that is most healing to you? Crystal: Taking long, peaceful walks and trying to see the beauty in everything around me. Sometimes you just have to stop and take it all in, it’s a perfect way to clear my mind from the everyday craziness. 6. Where do you see yourself in 10 years from now? Crystal: In ten years I see myself looking back on this journey and being so proud of myself that I was able to overcome something that a lot of people thought I couldn’t. I see myself sharing my story with others to help them get through what I went through. I see myself having children and letting them know what miracles they are, and giving them all of the love I can possibly give. 7. What is the single most important piece of advice you would offer to another individual experiencing a health challenge? Crystal: Become your own advocate. Listen to your body. Do your own research. Although it’s so easy, don’t become discouraged, believe that there is hope no matter how bad it is. Fear does not exist, it is just a product of our imagination. If you can overcome fear then you can overcome anything. Just believe! I’m so happy for Crystal! I can’t wait until you’re cancer free Steph! It will happen! Get the latest info, tips and more straight from me to your inbox. Find me in Florida: CAM Conference, Thriver MeetUp and Miami Breast! THRIVE GANG for the Holidays Makes the Perfect Gift!